Prevents Rotting. 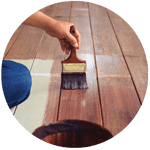 Finishing your new deck seals the wood and repels water. This protects it in rainy weather and from water seeping into the wood pores. Prevents Splintering & Cracking. Water seeping into the wood does more than cause rot. It also allows freezing thus causing the wood grains to break apart. 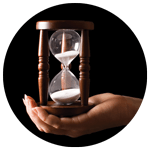 If repeated numerous times, the wood structure deteriorates and the wood splinters and cracks. Protects Against UV Rays. Direct exposure to the sun can hurt the wood structure over time. On a deck, the top naturally in the sun while the underside is still wet. This uneven drying hurts the wood. Deck finishing prevents this and increases the life of your new investment. Prevents Wood Discoloration. Exposure to the elements discolors the wood. Instead of a nice brown wood, unfinished wood that is left exposed, will become grayish and dull. Prevents Warping. Exposure to the elements can cause decks to warp. 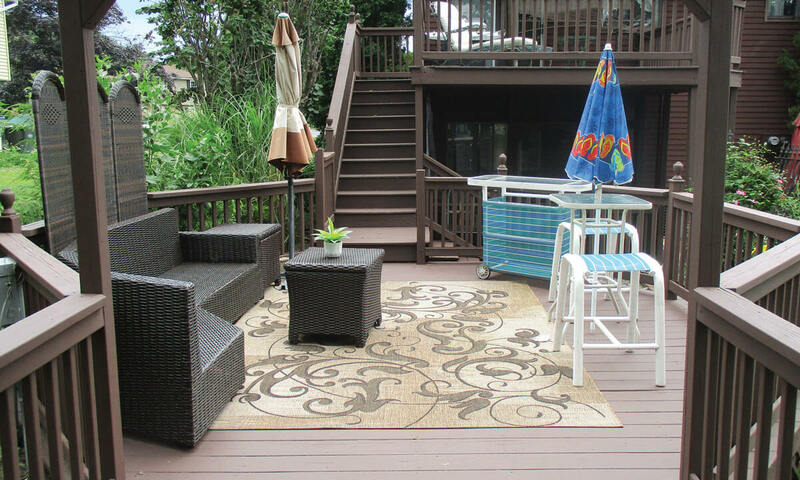 Deck finish protects the wood from the sun and rain and deters the deck from loosing it original shape. Resist Mildew. 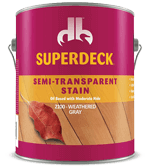 Our SuperDeck® coatings are designed to inhibit the growth of mildew. The smooth surface also makes it easier to clean and keep mildew under control. It is important to WAIT 4-6 months after the deck is built to apply the finish. Applying the sealer too soon can trap moisture inside the wood which can cause the finish to crack and create other problems. We PRESSURE WASH the new deck surface before doing anything else. 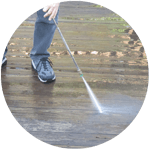 This removes dirt, gunk, tree sap, oil or any other residue, that accumulated on the wood before and during the building process. 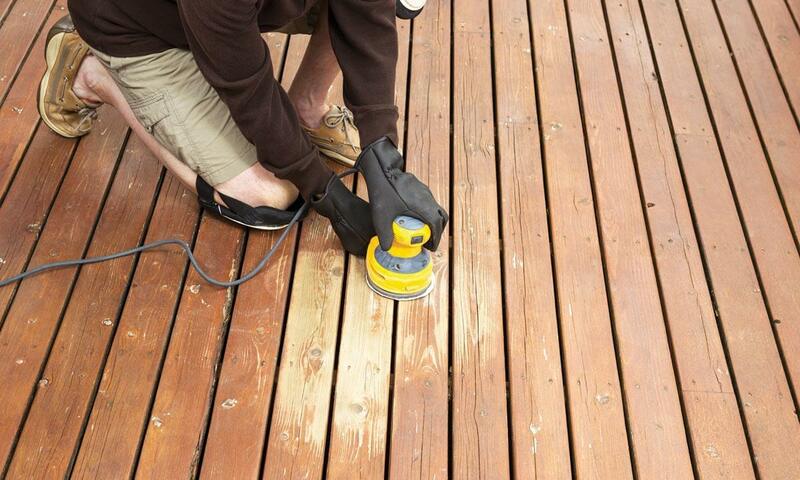 SANDING is key to preparing a deck to be finished. 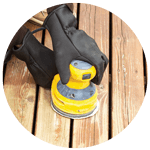 This removes nasty splinters, flattens uneven stumble points and gives the deck an overall nicer surface. It is good prep for a great deck finishing result. After cleaning and sanding the deck, it is ready for APPLYING THE FINISH. 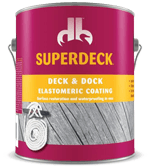 We recommend the SuperDeck® coating products. These products resist the elements, prevent foot traffic scuffs, and more.